Bakerzin New Menu, back to basics! Friday | April 20, 2018	Choose from a delectable array of desserts specially crafted for fans and new customers! Bakerzin decides to go back to basics with its new menu revamp. Indulge in Signature Warm Chocolate Cake, relish in Melting Chocolate Sphere for optimum Instagram effects and enjoy good old classics with Berry Crumble and Chocolate Soufflé. Bakerzin, being a fine purveyor of French Artisan patisserie, creates a lovely Baba Au Rhum, a bread cake soaked in rum overnight and drizzled generously with sweet fruit juice, you can dine like a true Parisian and have small chats with friends over a cup of warm Latte. 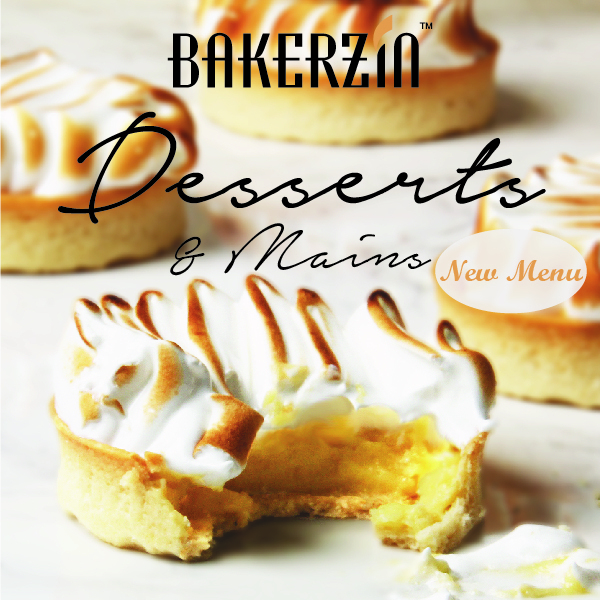 Bakerzin’s New Menu is available today at selected Bakerzin’s outlets, 18 Tai Seng, United Square and Vivocity.